Payments in bitcoins for accommodation in Cuba accepted here. Where would you like to stay in Cuba? 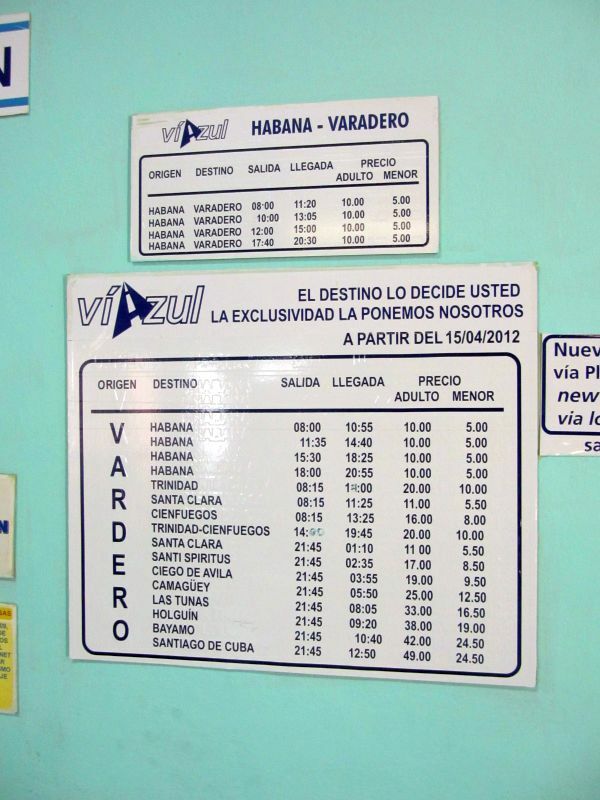 Bus schedule of Viazul. All prices in CUC. If you don't speak Spanish our hosts will gladly help you to call bus information. 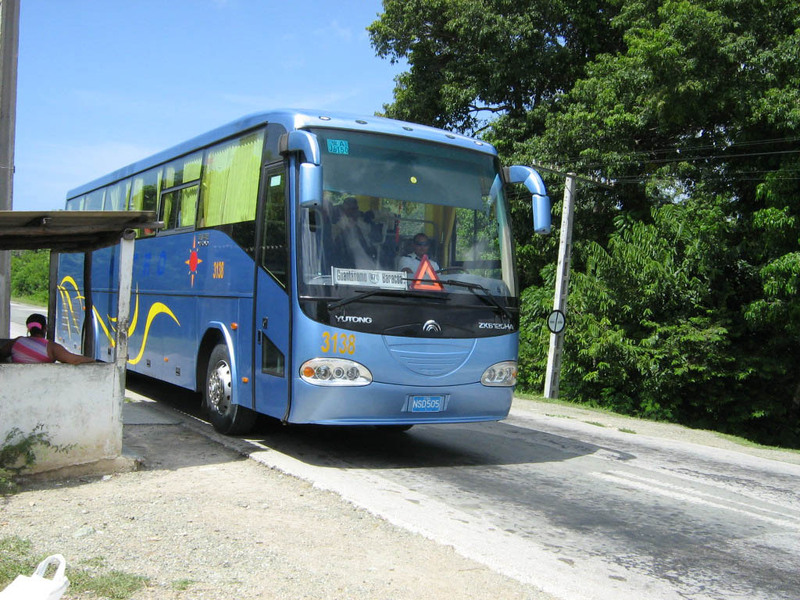 And if you travel to Trinidad your hosts in Casa Sola will be happy to pick you up from the bus station there. Avenida 26 y Zoologico, Nuevo Vedado, Ciudad de la Habana, Tel. (0053 7) 8815652, 8811413, 8811108, Fax (00537) 666092. Viazul will also take bicycles for an extra charge! Not the bus schedule you need? Try Taxi Share! Our new concept of sharing a taxi ride by the passengers of the same flight! Taxi comfort for the half of the fare? daily, Price: 55, duration 15:30 hrs. daily, Price: 10, duration 3 hrs. Havana-Playas del Este / Playas del Este-Havana, daily, Price: 4, Dauer 1.20 hrs. daily, Price: 12, duration 3.15 hrs. daily, Price: 21, duration 10.40 hrs. daily, Price: 52, duration 16.10 hrs. daily, Price: 16, duration 4.45 hrs. daily, Price: 27, duration 5.35 hrs. daily, Price: 35, duration 12 hrs. daily, Price: 27, duration 11.40 hrs.